As you all know, I took on the challenge to try Pond's Unbeaten Whitening Experience using the Flawless White range. The challenge was to prove if Pond's Flawless White is a whitening range that is proven to work and could outdone most if not all available whitening products out there. I'm sure some of you are wondering why I agreed to this challenge. As you all know, I've been invited to several events of Pond's and have been trying the latest products they provide. When they presented this challenge, I first thought that the Pond's Flawless White might be one range of products that may not work for me and could actually be allergic too. Good thing they let us take home a small jar of the day cream for skin patch test. Went all out crazy and applied on several parts of my body like back of the ears, wrists, inner arms and back of the elbows. Good thing no skin reactions. So, I didn't see any reason why not. After all, it's nothing new for me to change skin care every so often for the purpose of just trying everything and find that one Holy Grail skin care for whitening, brightening, anceic skin, anti-aging. What's another range to add to the list? LOL. I know, I know! I'm not a guinea pig and this is not an experiment and I could actually harm my skin with all these skin trials... but what the heck! This is what I love to do! I live and breathe for beauty!! But at this point, Jheng (the beautiful IamBrigitte and my partner in this challenge) and I thinks of the prize as just a sweet sprinkling of cherries on top if we do win because we both found out that Pond's Flawless White works! For three weeks, I religiously used the Deep Whitening Facial Foam, Visible Lightening Day Cream, Blemish Prevention UV Cream, Re-Brightening Night Serum and Spots Blocking Serum. 1. My skin felt smoother the very next day and days after that every morning. 2. No skin reactions like redness. 3. I did not acquire any pimples for the duration of the challenge. 4. My skin looked brighter but not whiter. 6. Definitely a lot clearer and smoother skin after three weeks. 1. 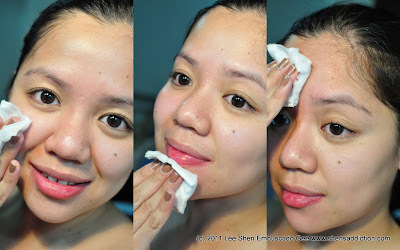 You still need facial cleaning from your derma for whiteheads and blackheads extractions. I have large pores and if I continue not to visit the derma, pimples may start to form from the blocked pores. 2. For oily skin, the night treatment may cause a bit of oiliness if you don't have A/C at night as it's very moisturizing. 1. You'll love the squeeky feel of the facial wash.
2. Day cream gives a mattifying effect that you can skip the primer. 3. Blemish Prevention UV Cream is easier to apply and it's not too icky for a moisturizer/sunblock/whitening product. You can even mix this with your foundation. 1. Although this doesn't bother me too much, I just wish the Flawless White range doesn't have a perfume scent to it. After the Deep Whitening Facial Foam. Toner time with White Beauty Pore Conditioning Toner. 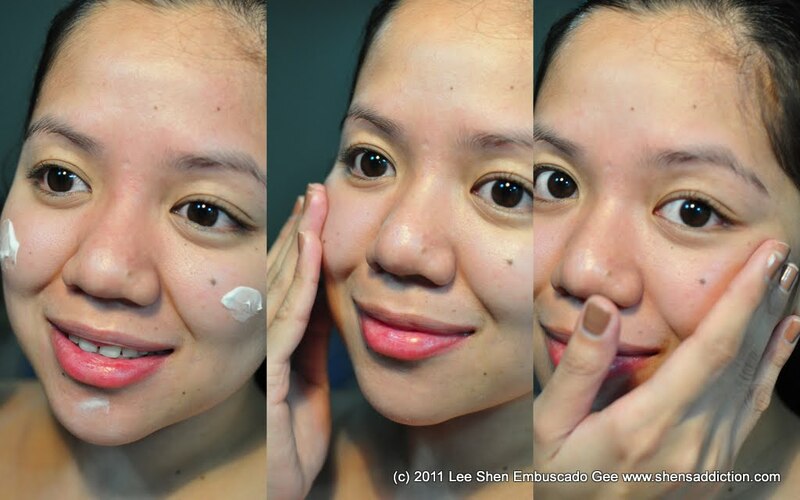 applying the Spots Blocking Serum on my left cheek where most of the dark spots are concentrated. Last, I apply the Re-Brightening Night Treatment to make sure the A/C doesn't dry out my skin and make sure that I aid the whitening part of my skin. My skin didn't exactly whiten as fast as a peeling procedure or a microdermabrasion does but there's some whitening happening. And my dark spots definitely lightened. If anybody ask, Pond's Flawless White works and yes, I can vouch for that. But does it work for everyone, I certainly hope so! But we all know that isn't the case for all skincare. So try samples first or the small sizes. See it for yourself!! If you want to see and read what Jheng wrote about my experience with Pond's Flawless White, please go to Pond's Flawless White Unbeaten Whitening Experience and see blow by blow accounts of this three week challenge. Check out other contestants too! The skin care sounds like a dream! any idea how much does the items or the whole set cost? I am using Ponds Flawless White Facial Foam, and yes very effective to prevent PIMPLES, also it made my skin very light. My face skin feels so soft everyday!